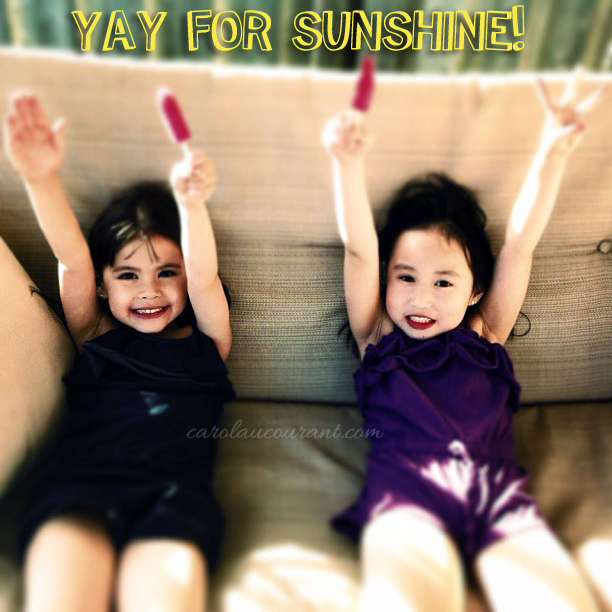 My daughter (on the right) & her BFF enjoying the sunshine wearing Banana Boat® Natural Reflect™ Kids Sunscreen ! Spring has finally sprung and Mr. Sun has decided to grace us with his warming presence. My daughter is just as excited as I am of course because that means lots of outdoor play and discovery. What’s even more fun is that we now have a new little addition to join us for our many Spring & Summer activities outside. As a mother, the one thing that I get very concerned about once the sun starts radiating stronger and stronger each day within the next few weeks is my children’s skin. My daughter already has very sensitive skin and now I also have to worry about the delicate skin of my baby boy. I’ve tried quite a few different sunscreens for my daughters skin and most often she would react to it, from mild to strong. 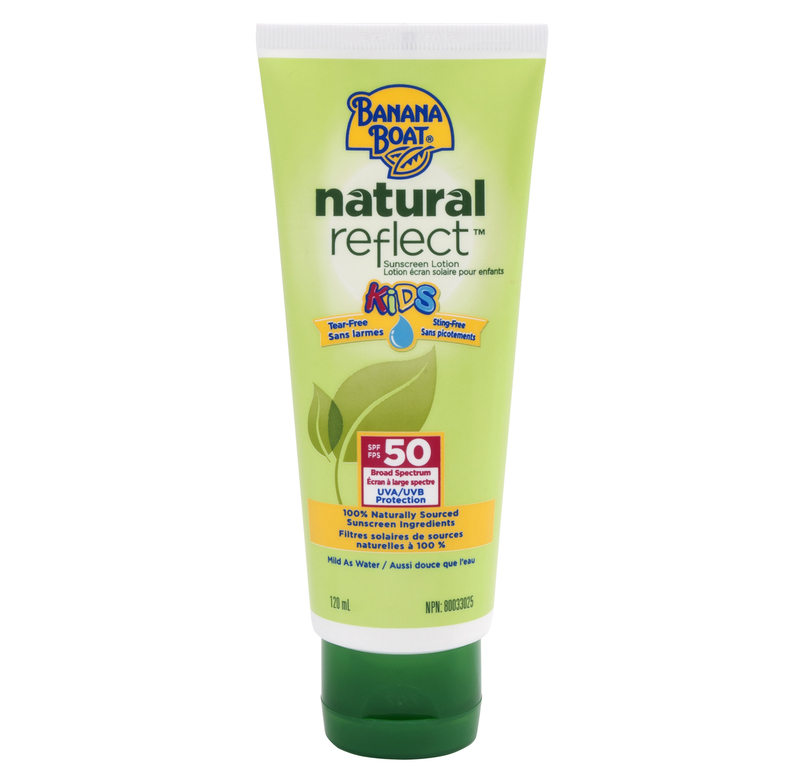 I’ve had success with Banana Boat® products in the past and now I’m excited to try their latest product, Banana Boat® Natural Reflect™ Kids sunscreen. Whether you’re off for a day at the beach or an in-city adventure with the kids, the new Banana Boat® Natural Reflect™ Kids sunscreen lotion provides the clinically proven protection mom loves, but is gentle enough for the most delicate – and sometimes finicky – skin. The Natural Reflect™ Kids sunscreen lotion provides broad-spectrum UVA and UVB protection, yet is Paraben, PABA and Oxybenzone-free, so parents can feel comfortable applying it on their kids. The pediatrician-tested sunscreen, made from 100% naturally sourced sunscreen ingredients, is also water resistant allowing for a tear- and sting-free sunscreen experience. The Natural Reflect™ Kids sunscreen is currently available at grocery, drug and mass retail outlets across Canada for approximately $11.99. So worries no more! We are super excited to welcome the warmer months and plenty of fun outdoors thanks to Banana Boat® Natural Reflect™ Kids sunscreen lotion! 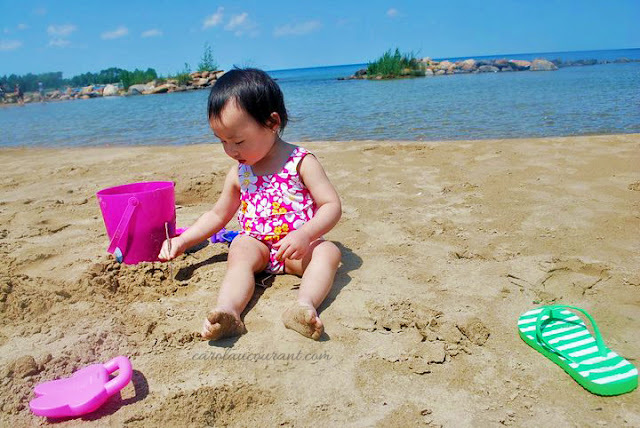 Memory Lane: Summer fun at the Cottage – Ava at 18 months. I’m looking for 25 of my readers that would like to receive a full sample of a Banana Boat® Natural Reflect™ Kids Sunscreen to try and then share their review with me for a chance to win a $50 Visa gift card. If you’re interested in participating and receiving a free sample + a chance to win a $50 Visa Gift Card, simply enter via quick rafflecopter entry. The first 25 to reply will be chosen! *Please note if you have applied & were chosen for this review opportunity with another Blog, I ask that you be courteous and allow for others to have a chance to participate. Ahhh! I’m too late. LOL #33!